Teal Tumbler | In the Crayon Patch.. I posted a work-in-progress photo of this quilt a while ago, and for some reason have not posted about it since. It has been finished for quite a while (note the snow in the garden). Binding a quilt is my least favourite part, but I am loving the colour orange with EVERYTHING right now, so this was done pretty quickly. (Note: click on photos for larger image). It is resting happily on our bed right now, as it has moved up to the top of my favourites list. 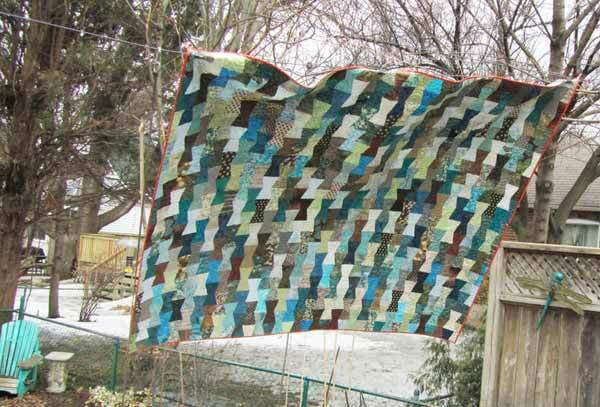 This is a great design for those of you looking to use up your scraps, which I did here. I did limit my colour range, and am so happy with the palette I chose. Click on photos for closer view. 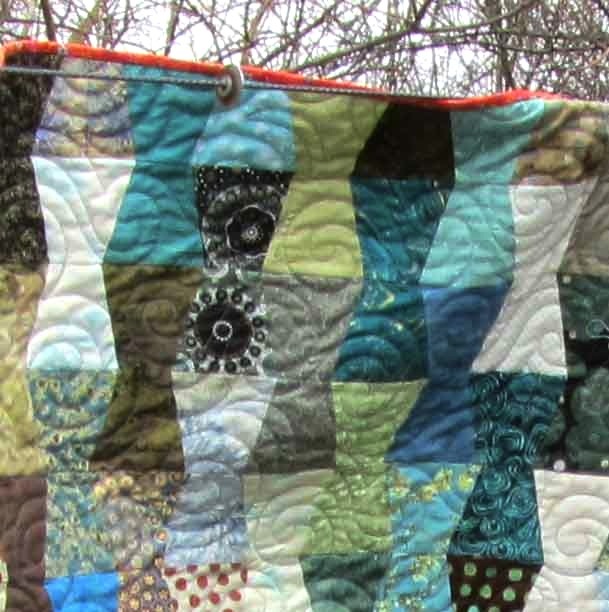 .. and a close-up of the quilting. Love it!